A heartfelt account of a doctor’s involvement in an elderly go-playing man’s transition to hospice was featured in The Washington Post recently reports Gwen Patton. Dr. Aroonsiri Sangarlangkarn tells the story of the bond she formed with her patient, pointing out the “struggle to provide continuity of care despite multiple hand-offs” that physicians face today. Through her account, readers come to learn about Dr. Sangarlangkarn’s patient, Roger, “the man who loved go.” Slowly dying from end-stage chronic obstructive pulmonary disease (COPD), Roger was an eccentric man without many friends. 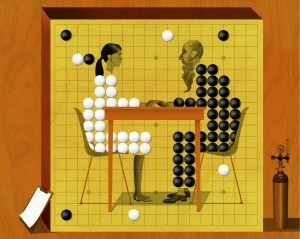 Initially viewing Roger neither as her patient nor as her friend, Dr. Aroonsiri recounts her growing friendship with the man, coming to understand his childhood background, religious views, and his love for the game of go. As Roger’s condition worsened, Dr. Aroonsiri was faced with the challenge of telling her friend that he was dying. She came to learn firsthand the importance for today’s healthcare providers to connect with their patients on a “meaningful level”.